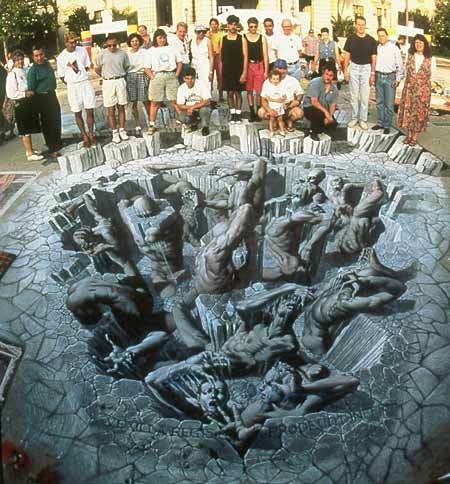 Sidewalk Chalk Drawings. I find these so interesting to look at. They're all drawn in chalk but if you look at them from a certain angle they look so lifelike.. Wallpaper and background images in the Modern Art club tagged: modern art sidewalk chalk drawings.